Stanley G. Tate…….A man of purpose, a man of conscience , a man of positive impact on our educational and economic future. 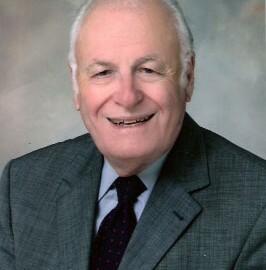 Stanley’s largest and primary civic involvement has been his efforts in sponsoring the FLORIDA PREPAID COLLEGE PROGRAM. He served as Chairman of the Florida Prepaid Postsecondary Education Expense Board from 1987-2005. On June 26, 2006 Governor Bush signed a bill changing the name of the Prepaid College program to the Stanley G. Tate Florida Prepaid College Program. His involvement with this program has made available a way for tens of thousands of students a year to better their lives and future. 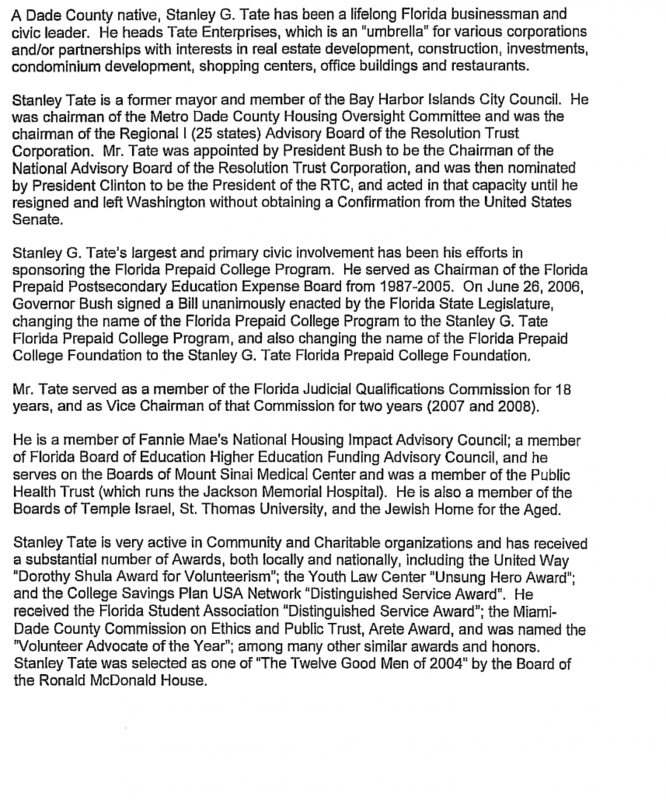 Stanley is a member of Fannie Mae’s National Housing Impact Advisory Council, he is a member the Florida Board of Education Higher Education Funding Advisory Council, he serves on the Boards of Mount Sinai Medical Center and was a member of the Public Health trust which runs Jackson Memorial Hospital.